All GLORY to our KING JESUS CHRIST! Xalbador Pigeons. Breeding stud of fine racing pigeons. Racing since 2017 in partnership with Hannes Grove, GPU Champion of 2014, from his new premises as Team Grove & Pienaar. Racing from 2019 in partnership also with Kenneth Edas as Team Edas & Pienaar. 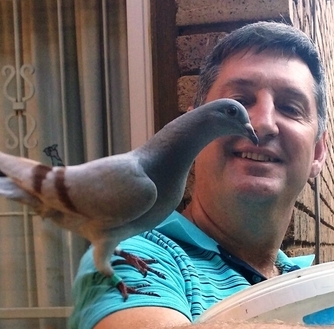 Kenneth is a champion pigeon fancier in his own right. Participating in One Loft Racing when the time is right.